This program contains 2 hours and 35 minutes of Professionalism Content. This program contains 35 minutes of EDI Professionalism Content. This program is eligible for 3 hours and 50 minutes of Substantive Content. The Recent Call Conference is recommended for individuals in their first seven years of practice. Everyone is welcome to register including students, articling students and non-members. This program provides opportunities for interactivity. Each panel of speakers will invite and answer questions from attendees. In addition, between the formal CPD sessions, attendees are encouraged to mingle with speakers to follow up on further information on unresolved issues. There are scheduled breaks in the agenda to facilitate discussion and engagement between attendees and speakers. 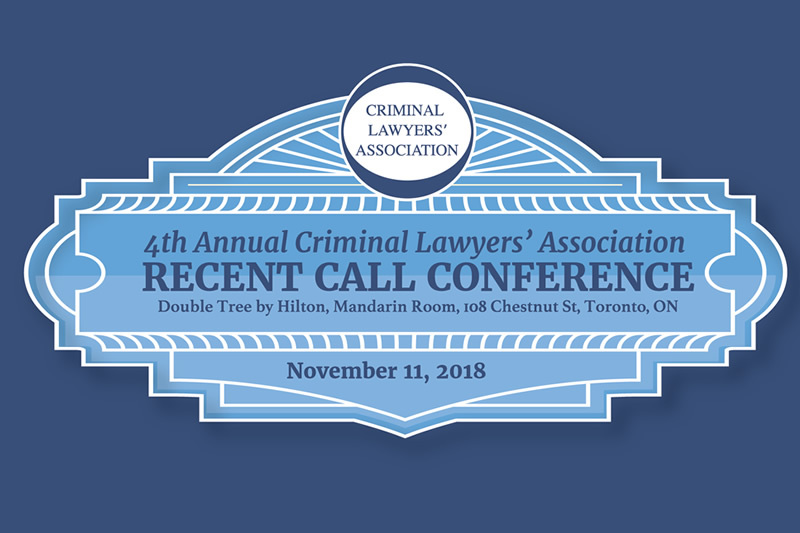 The purpose of the CLA’s annual Recent Call Conference is to provide educational programming tailored to the needs and interests of criminal defence lawyers in their first seven years of practice. The conference aims to be practical and offers a range of topics from substantive legal issues to practice management and ethical/professionalism issues. 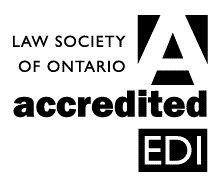 This year, we have seven sessions: 6 panel presentations (“Working with Legal Aid Ontario,” “Challenging Search Warrants,” “The Art of the Deal,” “Marketing Yourself,” “Preparing Your Client to Testify,” and “Guilty Pleas”), as well as a keynote “fireside chat” with Justice Gloria Epstein of the Court of Appeal for Ontario. he 46th Annual CLA Fall Conference Materials and the 4th Annual Recent Call Conference Materials can be purchased. Details to download the materials will be emailed with purchase receipt. Please note that CPD credits cannot be claimed for only purchasing the materials. Attendance to each specific conference was required in order to claim. 10:50 to: 11:10 a.m.: Break with one-minute moment of silence to remember sacrifices of members of the armed forces and of civilians in times of war. Cancellations will be accepted if received in writing by 12 noon (ET) on or before November 1, 2018. Cancellations are to be sent to [email protected]. A $10 admin fee will apply. No refunds will be accepted on or after November 2. The substitution of registrants is not accepted unless emailed to [email protected] 36 hours prior to the event start time.The sharing of registrations is not permitted. The CLA reserves the right to alter or cancel, without prior notice, any of the arrangements relating directly or indirectly to an event, for any circumstances beyond the CLA’s reasonable control. If the CLA cancels the event, registrants will be offered a full refund. Should circumstances arise that result in the postponement of the event, registrants will have the option to either receive a full refund or transfer registration to the same event at the new, future date. In the case of inclement weather, unless otherwise notified by CLA, the event will still take place. When the event proceeds as planned, there will be no refunds should attendees not be able to attend as a result of weather. The CLA will also not be liable to refund registration fees should the event be impacted by a transit strike, strike lock-out, accident, civil disturbance or any other cause whatsoever beyond their control.